Cartulary: Oberösterreichisches Urkundenbuch, weltlicher Teil (540 - 1399 ). Cartulary: Cartulaire général de l'Yonne. M. Quantin. Auxerre. 1854-1860 et 1873. Cartulary: Cartulaire de Notre-Dame de Chartres. E. de Lépinois, L. Merlet, Olivier Guyotjeannin, Olivier Canteaut, Frédéric Glorieux, Joana Casenave, Camille Desenclos, Naomi Russo. Garnier. Chartres. 1862. Cartulary: Cartulaire du Prieuré de Saint-Marcel-lès-Chalon. P. Canat de Chizy, M. Canat de Chizy. Société d'histoire et d'archéologie de Châlon-sur-Saône. Chalon-sur-Saône. 1894. Cartulary: Charters of St. Paul's, London. S. E. Kelly. Anglo-Saxon Charters 10. British Academy, Oxford University Press. Oxford. 2004. Cartulary: Charters of St. Augustine's Abbey Canterbury and Minster-in-Thanet. S. E. Kelly. Anglo-Saxon Charters 4. British Academy, Oxford University Press. Oxford. 1995. Cartulary: Charters of Christ Church Canterbury. S. E. Kelly, N. P. Brooks. Anglo-Saxon Charters 17. British Academy, Oxford University Press. Oxford. 2013. Cartulary: The Cartulary of Montier-en-Der, 666-1129. Constance Brittain Bouchard. Medieval Academy. University of Toronto Press. Toronto. 2004. Cartulary: Charters of Selsey. S. E. Kelly. Anglo-Saxon Charters 6. British Academy, Oxford University Press. Oxford. 1998. 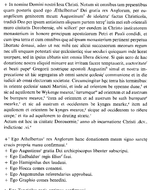 Cartulary: Charters of Glastonbury Abbey. S. E. Kelly. Anglo-Saxon Charters 15. British Academy, Oxford University Press. Oxford. 2012. 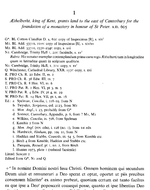 Cartulary: Charters of Peterborough Abbey. S. E. Kelly. Anglo-Saxon Charters 14. British Academy, Oxford University Press. Oxford. 2009. 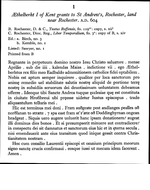 Cartulary: Charters of Chertsey Abbey. S. J. Kelly. Anglo-Saxon Charters 19. British Academy, Oxford University Press. Oxford. 2015. Cartulary: Charters of St-Fursy of Peronne. W. M. Newman. Medieval Academy Books, 85. Cambridge. 1977. Cartulary: Charters of Shaftesbury Abbey. S. E. Kelly. Anglo-Saxon Charters 5. British Academy, Oxford University Press. Oxford. 1996. Cartulary: Charters of Sherborne. M. A. O'Donovan. Anglo-Saxon Charters 3. British Academy, Oxford University Press. Oxford. 1988. Cartulary: Charters of Bath and Wells. S. E. Kelly. Anglo-Saxon Charters 13. British Academy, Oxford University Press. Oxford. 2007. Cartulary: Charters of Malmesbury Abbey. S. E. Kelly. Anglo-Saxon Charters 11. British Academy, Oxford University Press. Oxford. 2005. Cartulary: Cartulaire de l'Eglise d'Autun. A. de Charmasse. Société Eduenne, A. Durand. Paris. 1865.